similar to those used in the famous Red Bull Air Race series. 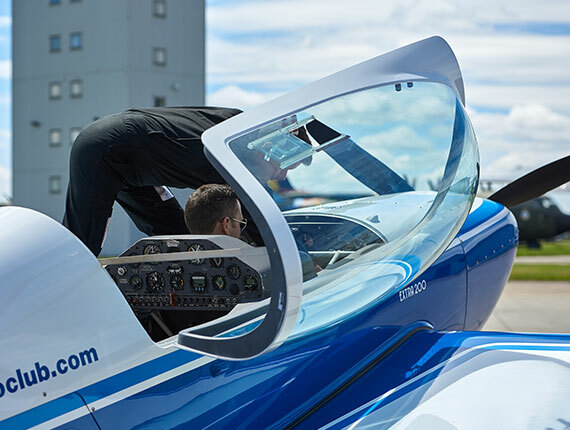 These aerial aerobatic manoeuvres range from gentle chandells and barrel rolls to more challenging and exhilarating loops, cubans and stall turns. 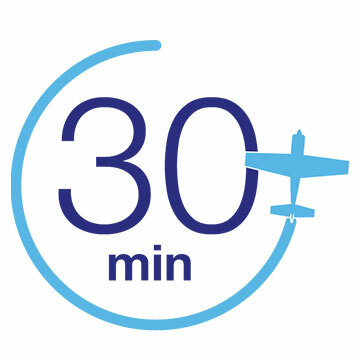 You will be briefed by your highly experienced instructor who will explain the basic aircraft controls, safety procedures and the content of the flight. There may then be an opportunity for your family and friends to take pictures as you are strapped into the aircraft ready to go. Your instructor will talk you through everything as he takes you through a series of breathtaking manoeuvres which are guaranteed to get your pulse racing! You will then have an opportunity to take the controls of the aircraft and maybe try your hand at some basic manoeuvres yourself. Once you have ﬂown the aircraft, marvel at the views of beautiful Cambridge and the surrounding countryside. If you don’t fancy the thought of aerobatic ﬂight, it’s not obligatory… We can make the experience as gentle as you like. Once payment has been made, we will send you a personalised ticket for your aerobatic flight, valid for 12 months! If the weather prevents your flight from taking place we will re-book your flight for the soonest possible date. 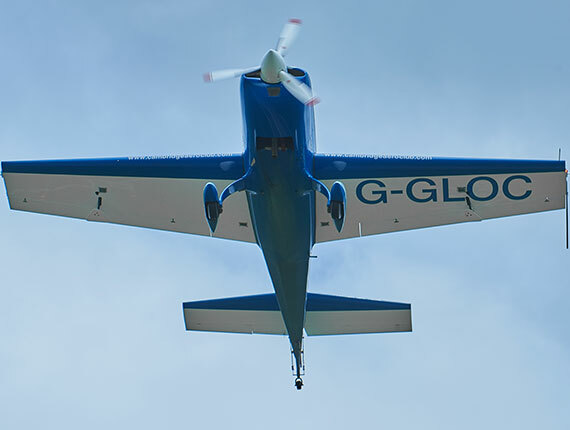 Our aerobatic pilots are highly skilled at adapting ﬂights to suit all types of passenger. In the unlikely event that you feel slightly uncomfortable, there are a number of things they can do to alleviate your symptoms so that you can enjoy the rest of your flight. Q.Who can do an aerobatic ﬂight and are there any restrictions? You must weigh no more than 100 KG (16 Stone), be no taller than 1.88 meters (6’ 2”) and in good health.